THE HANDS OF ORLAC (1924). This deliciously grisly premise sums up director Robert Wiene’s 1924 Austrian horror film starring Conrad Veidt (Wiene’s Cesare in THE CABINET OF DR CALIGARI). It’s an atmospheric, enjoyable tale based on the novel ‘Les Mains d'Orlac’ by Maurice Renard that mixes Expressionist acting and set design with naturalistic attitudes and locations. Veidt plays Paul Orlac, a celebrated French concert pianist who almost dies in a terrible railway crash. His wife Yvonne (an emotive, suffering Alexandra Sorina) is desperate to save his “beautiful, tender hands” and begs a surgeon to save them. He does so, but by transplanting those of an executed murderer, Vasseur. The knowledge of this sends Orlac into a constant waking nightmare of believing his new hands are possessed with homicidal tendencies. 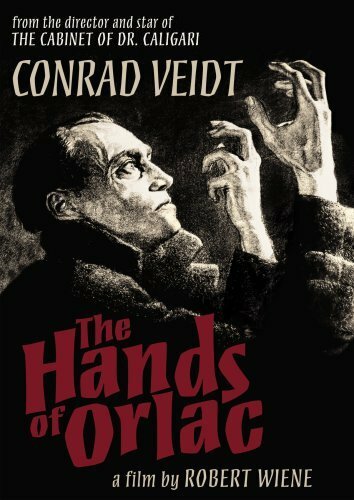 Veidt is well cast as Orlac, channelling his physicalisation skills convincingly to portray the terrifying separation he feels from his murderous hands, and those searing eyes that this time engender sympathy rather than fear, his inner pain radiating poignantly through them. He pleads to have the surgeon undue his work, but is told that only the head and heart rule a person’s hands. Mysteriously, he comes across Vasseur’s x-engraved murder knife and tries to hide it in his piano, knowing that the incriminating finger-prints upon it are now his. Bold expressionism dramatically conveys Orlac’s mounting madness such as when an enormous fist descends on him across the bedroom to awaken him in terror. The set design for the film is mostly naturalistic but in his home there’s an effectively creepy sparseness – only the bed and a foreground pool of light are picked out in that barren room. The hallway too is notable only for a large highlighted vase. These elements, coupled with the eldritch energy taking over Orlac, isolate his state and unease, compounding his innermost fear that Vasseur will take him over again. While Orlac struggles with his secret, Yvonne tries to keep creditors at bay. She appeals to Paul’s father, a cruel remote man whose challenged refusal to help causes him to spit “Yes, I want to! I hate him”. When Orlac goes himself, to his horror he finds his father stabbed to death and somehow by the found weapon. To make matters worse, Orlac is now approached by a villainous figure with a permanent sneer who claims to be Vasseur and blackmails him for a million francs – or he will tell the police it was Orlac who murdered his father. Such is the increasingly fractured mind of Orlac that Vasseur has him believing that the surgeon gave this baddie a transplant as well – of a new head onto Vasseur’s body. THE HANDS OF ORLAC can be counted as the first of the ‘hands with a will of their own’ horror plot device that was subsequently remade as MAD LOVE (with Peter Lorre), THE BEAST WITH FIVE FINGERS and least successfully inspired the poorly-conceived THE HAND by Oliver Stone starring Michael Caine. 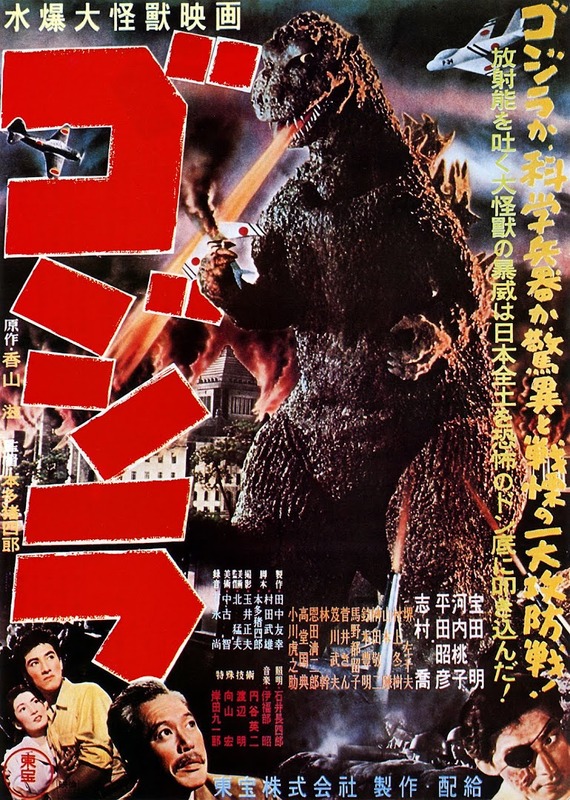 Intriguingly the film almost became banned on its release when German authorities considered a request for suppression over concerns that it might reveal too much about finger-print techniques and other police forensic methods. Fortunately, the submission didn’t get far, presumably because it was realised that no-one can create wax prints, as well as the unlikeliness that criminals would take influence from a hugely enjoyable, far-fetched horror movie for their future escapades.